Thank you to everyone who participated in the live chat with Professor Elizabeth A. Murray on Thursday, November 5, 2015. 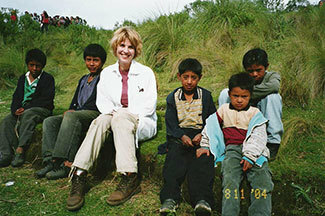 Professor Murray truly enjoyed the chance to connect with her fans and students. In case you didn’t get a chance to participate, we’ve posted the live chat for anyone to read. Thanks again! 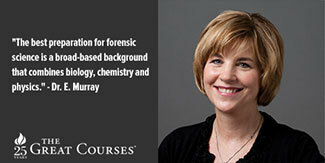 Visit Professor Murray's page for a list of her courses! Good evening and thank you all for joining us tonight as we discuss forensic science and history with our esteemed guest, Professor Elizabeth A. Murray. At this time, our chat is now open and you may begin sending your questions to Professor Murray by clicking on the Submit a Question button. Hi, everyone, and welcome to our chat session! I’m glad you’re here and hoping to answer as many of your questions as possible. I’d like to begin by thanking The Great Courses and its awesome staff for setting up this opportunity for us. Let’s get started! 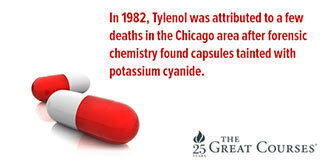 Improved data (facts) is always desirable. What are your views on which has improved more do to recent advances in forensic science, public safety & law enforcement efforts or justice for those falsely accused/convicted of crimes? Many techniques seem about as valid as the results of a Rorschach test of the examiner-- that is to say, nil! 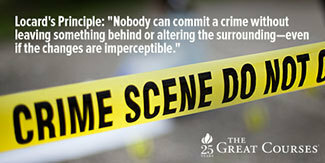 Check out more in "Trails of Evidence: How Forensic Science Works"
Gun control is a hot topic. Do you have any recommendations on how we might reduce criminal gun violence through legislation or other methods in the future? I'm trying to decipher which policies have a good chance of working and which ones are less effective. What is the website to hear the chat? Is the chat only written? How often do you develop an initial theory based on your first impression, versus how often it comes purely from analyzing evidence deeply? 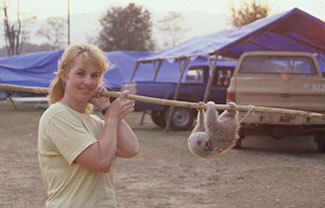 Professor Murray with a slow loris in Laos, summer of 2000. 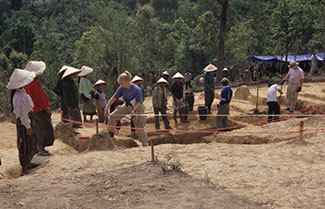 Professor Murray on a dig in Laos, 2000. 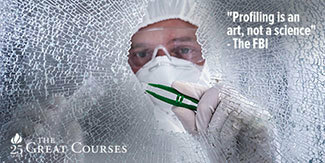 Do you have any favorite fiction/crime writers that really do a good job getting the forensics right? 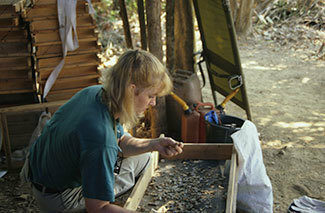 In your opinion, what is the most important effort, currently underway, to improve the quality of forensic science? how do you feel about the CSI shows on TV. I Laugh when I see a civilian CSI tech conduct investigations, Question witnesses and suspects then turn to a sworn officer then turn to a police officer and tell them to lock that person up? 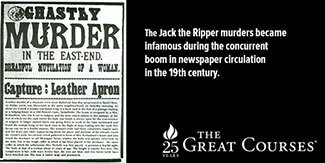 You agree with Ms. Cornwell on the identity of Jack the Ripper? In your opinion, if the fingerprints of all Americans were on file for use by law enforcement, would it be a boon to crime solving? What about privacy issues? 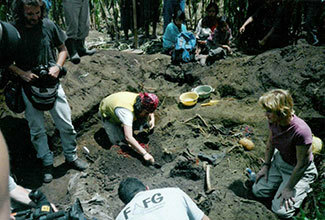 Forensics is a science, which automatically means it should be constantly re-examined by other scientists to verify its accuracy. That's how it should be. 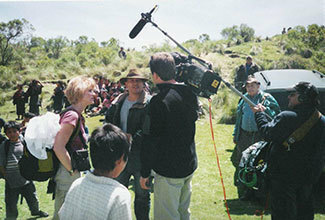 That said, however, I might add that it is also a wonderful profession and can sometimes be a lot of fun. I have been an investigative journalist for 45 years and both my police friends and I think there is no profession better. 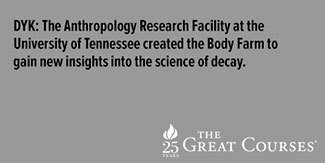 Check out more in "Forensic History: Crimes, Frauds, and Scandals"
I teach high school science and some of my students have.expressed interest in pursuing a career in forensic science. How would you advise them to proceed? Do you feel a need to "decompress" after an investigation - I imagine you get used to adopting a dispassionate attitude when looking at certain evidence, but I would imagine it'd wear on a person. 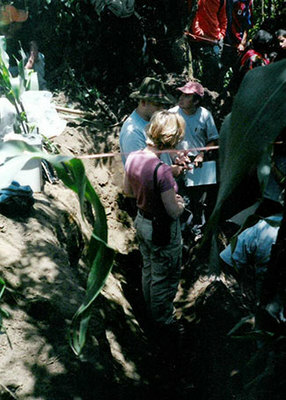 Professor Murray on a dig in Guatemala, summer 2004. At about what age do permanently identifiable fingerprints appear? Might fingerprinting infants be useful for future identification? One of my colleagues thinks handwriting analysis is bogus, and compared it to palmistry. But I find handwriting psychology analysis works well with other types of psychology training. What say you? Did the detectives in the O J Simpson case do a thorough enough job? 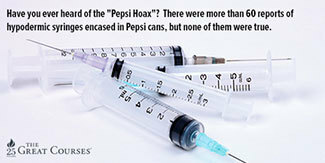 What evidence did they miss in your opinion? is there one unsolved case within the last 50 years that you were never involved with that you would like to look into to see if you can come up with more evidence? Dr. Murray has agreed to extend the chat to 8:00p.m. ET. Thank you Dr. Murray for your time! Google and others are making rapid advances in image recognition thanks to machine learning algorithms. And we all post photos to Facebook. I'm thinking of the Boston Bombers. If I take a photo with my smart phone the image is automatically uploaded (backed up) to my Google account over wireless within minutes, sometimes seconds. Consequently, an event like the Boston Marathon will have enormous amounts of visual data collection stored on various social media services. But, I might die in the blast and I won't be able to authorize the FBI to use my image data taken during the event. What *legal* efforts are underway by the FBI to utilize distributed smart phone data collection stored on social media servers? Are we looking forward to an 'opt-out' selection on our social media privacy agreements? Hello, Professor Murray: This country must spend 100s billions of dollars on criminal justice. 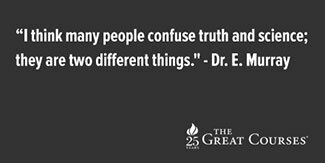 Are there any priority paid to do R&D on reliable determination of what people state are true or false. Thank you. What are some of the most interesting type of cases have you worked on? I don't want to sound corny, but my only real exposure to a forensic anthropologist is my favorite character as Dr Temperance Brennan. It sounds like very important and interesting work. "Data science" has become a hot topic recently. Is there anything in the way of data storage, processing, or computing, that could be of real benefit in your work? How does new information and processes get disseminated to forensics practitioners especially in small towns? We’ve received a number of great submissions. 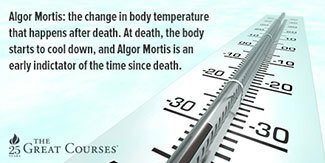 Thanks for your patience as Professor Murray answers your questions as quickly as possible. 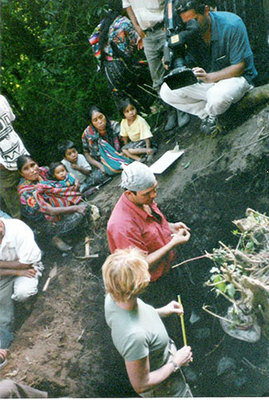 What did your anthropology training give you over and above what you learned in your biology training? 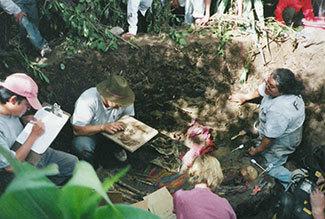 At my university they had internships for undergraduates at the coroner's office, and they accepted both anthropology majors and biology majors. Of course many who went were double-majors, but I always wondered if those who hadn't experienced both had different experiences because of what they learned.